Discussion in 'Forza Horizon 4' started by GTPNewsWire, Apr 4, 2019. This article was published by Gary Slater (@AudiMan2011) on April 4th, 2019 in the Forza Horizon 4 category. Bastet, xlDevontelx, neema_t and 1 other person like this. 250 GTO? Oh yeahhrrr... Keep that classics coming! I'm actually going to do what it takes to get those bimmers. Been in the auction house for weeks looking for those cars..
Don't like the whole exclusive prize thing. There should be an option to purchase these cars in the store, for those that don't have the time or resources to win these cars. Very poor from PG. T0MMY3688, CaptainTNT, VXR and 1 other person like this. 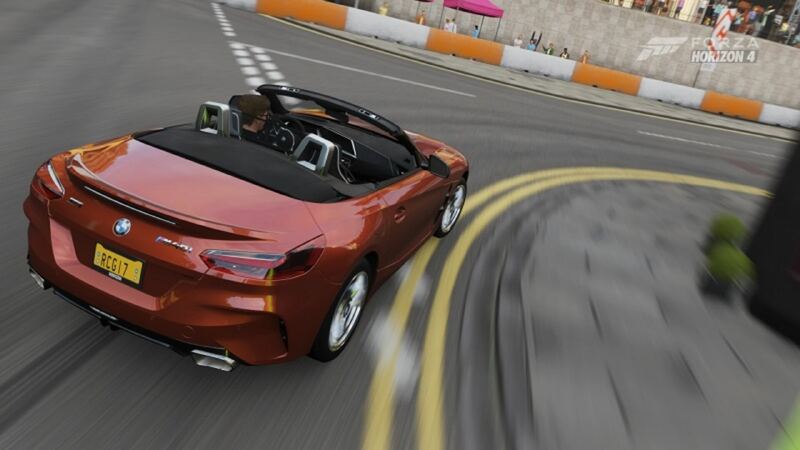 Been trying to get the 2019 BMW Z4 all day yesterday from the auction house but no luck. Don't even see much in the auction house. And if you do see it in the auction house, good luck of getting it. Why? You could do the seasonal events necessary for 50% completion in less time than "all day". The seasonal events are under HORIZON LIFE tab right? Maybe I am looking at the wrong location for seasonal events. The Festival Playlist should be literally the first thing that comes up after the intro sequence when you start the game. It's also on the left-hand side of the HOME tab. The Chosen One and ExoticMachines like this. Can someone link me to a tune for the McLaren F1? I'm still driving with a controller as the emulator I bought for my old GT wheel is not great ("works," but there's no feel). I'm getting serious snap oversteer. Thanks. Try this tune. Game tag Grandma Driving. It's only an S1 (900) class tune but it handles like a charm. He is driving with a keyboard so it should work on the controller too. Is the M3 GTR worth dealing with the game's crummy online? Funny you should bring that up. I just watched a video of him (I'm assuming him, I mean, it could be an actual Grandma driving) in a Pagani Zonda setting a sub-six minute lap of the Goliath circuit on the FH3 Hot Wheels expansion, and he was amazing to watch. Not a single mistake, not a single brushed wall. It was a masterclass of driving. Managed to get the E46 GTR after doing the Playground Games on the second attempt when the opposing team dropped out in 3 rounds. FT-1, strela and Populuxe Cowboy like this. His YouTube channel is IsuckAtDriving. But his gamer tag is actually Grandma Driving. I'm not good at tuning and I find myself quite comfortable with his tunes. You sure it was a Zonda and not a Centenario? Anyway he is playing with a keyboard and he is one of the fastest drivers in FH4... and it just blows my mind. Rustyx99 and Populuxe Cowboy like this. You sure it was a Zonda and not a Centenario? You're right, it was a Centenario.